The Farm Damilano is one of the historic cellars of Barolo from ancient traditions. 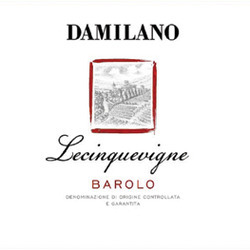 The work of Damilano family dates back to 1890 when the town of Barolo - the country of the Langhe that gave its name to the wine, generous and beautiful land that for centuries has shown its vocation to produce "the king of wines" - Joseph Borgogno , great-grandfather of the current owners, started to grow and vinify the grapes of ownership. Giacomo Damilano , the founder's son, developed with passion and his sons work and love for its vineyards, selecting them and treating them with skill and care and improving the quality of the wine to make it a "jewel" to be submitted with pride to his grandchildren who - since 1997 - run the business, managing the lands of their ancestors.